With Codex: Death Guard and Codex: Adeptus Mechanicus now on shelves, we�ve had loads of feedback from the community on how you�re enjoying these latest books, as well as some questions on how certain rules are supposed to work.... 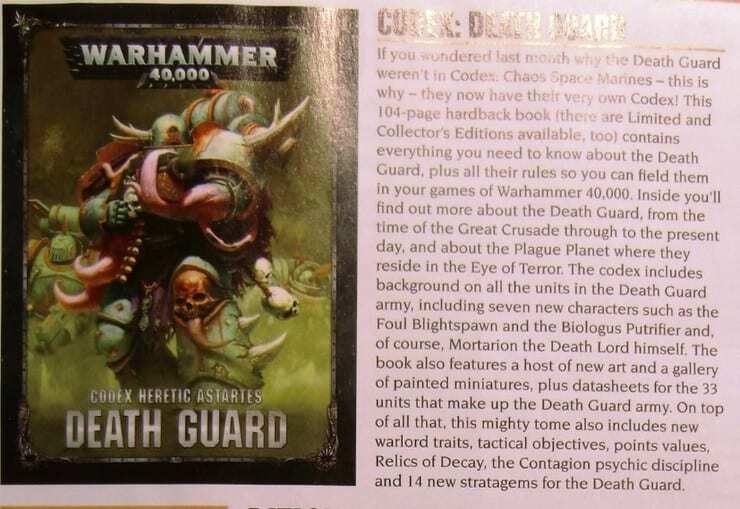 Description Codex: Death Guard. 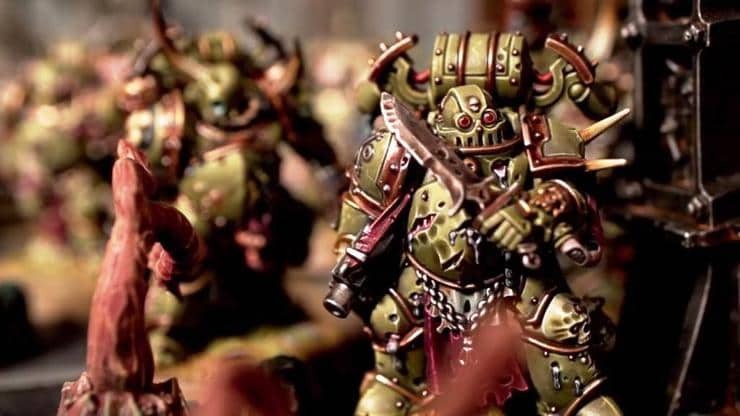 The Death Guard are the Traitor Legion most favoured by Nurgle. Utterly devoted to spreading the Plague God�s hideous diseases across realspace, they are living plague vectors whose bloated bodies and rusted war engines boast grotesque resilience and firepower. Codex for WH40K featuring the worshippers of Nurgle and his daemons...... There is a lot to go over so, for now, we will cover the new units that the Death Guard Codex is bringing to the table! Tallyman is a single model unit that costs 60 points, moves 5?, BS/WS 5, Strength 4, Toughness 5, 4 Wounds, 3 Attacks, Leadership 8, and has a 3+ Save. On a high note, Manticores DEMOLISH Necron Warrior elements or Ork/Nid/Guard blobs; with the new Necron codex, hitting Necrons with Instant Death-level attacks is invaluable for suppressing their Reanimation Protocols. Codex: Death Guard will be out in September, with Codex: Adeptus Mechanicus not far behind. We�ll be previewing both books, in detail, in advance of their release, so make sure to keep coming back to Warhammer Community to make sure you don�t miss any of it.